Falls through skylights or openings in roofs is a leading cause of injury and death, especially in the construction industry. In many incidents, these lives were lost in the blink of an eye because of clumsiness or forgetfulness. Our skylight safety nets can help prevent these unexpected tragedies. The Skylight Safety Net comes as a kit and is cost-effective, easy to use and can be set up in less than ten minutes. 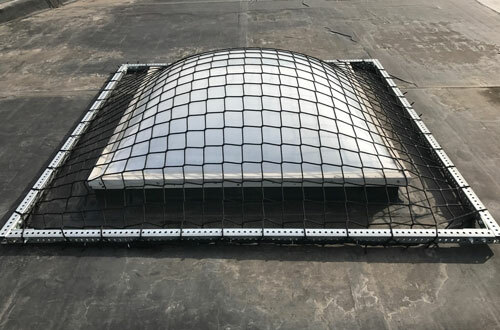 All you have to do is place the net over a skylight or secure it over an opening and you're done. 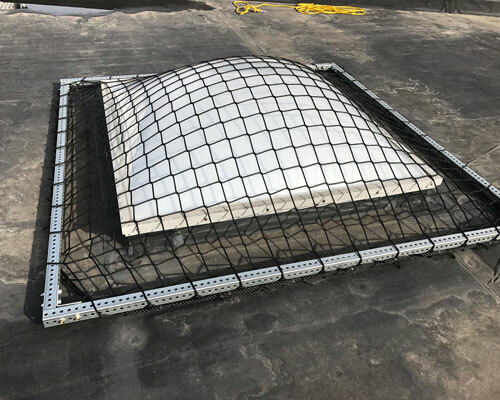 Compliant with OSHA regulation 1926.502(b)(4)(i) as a skylight cover for fall protection. 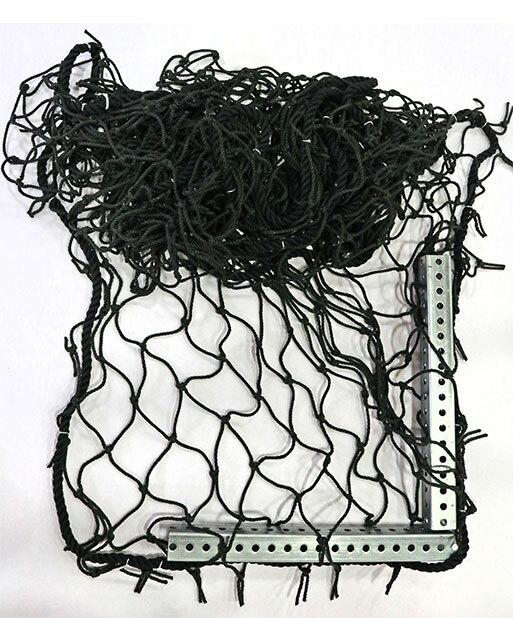 Kit includes safety net, metal frame, and all hardware.